Hungry this morning? 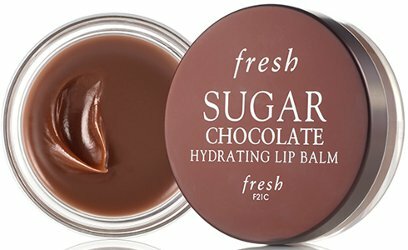 From Fresh, limited edition Sugar Chocolate Hydrating Lip Balm: "A rich, moisturizing lip treatment that smoothes and comforts on contact while delivering a velvety sheen and addictive flavor inspired by chocolate fudge." $18 for 6g. 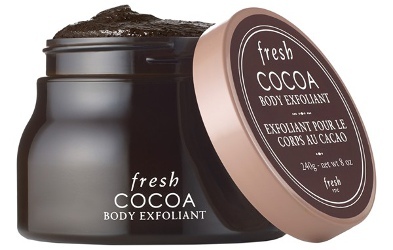 Today's want, possibly because I'm just plain hungry, is Fresh Cocoa Body Exfoliant: "Cocoa Body Exfoliant is a euphoric experience for the skin and the senses. The cocoa bean has been revered for centuries, as cocoa butter is known for its nourishing properties, and cocoa extract is said to have a pleasure-inducing effect. 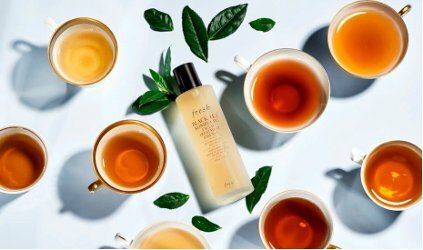 The seductive scent, luxurious, velvety texture, and skin-softening results will satisfy any craving for a beautiful body." $45, which is more than I will spend on a scrub. There is also a Cocoa Exfoliating Body Soap, $16.50. Do comment if you've tried either! Here at Now Smell This we know it doesn’t take long to spend LOTS of money on scented toiletries (I’m not talking perfume, either). 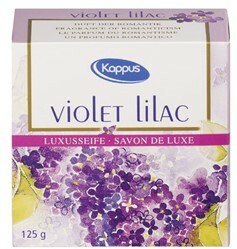 I’m a big fan of fragranced bath products, and current pricing for “fine” soaps and bath gels is high. Who’d have ever thought Diptyque and Frédéric Malle would be on the bargain end of ‘exclusive’ bath lines? Diptyque shower gels are $44 and a bar of scented soap is $15 (reasonable! ); Frédéric Malle body wash is $55. Bath gels sell for what perfume used to cost — Hermès cleansing gel: $59; Tom Ford shower gel: $65; Bond no. 9 body wash: $75; Sisley shower gel: $85; Creed body wash: $95. Fancy soaps are less expensive to buy and go from the “low end” (Jo Malone and Atelier Cologne, $20 a bar; Hermès soap, $22; Chanel No. 5 soap, $26 per cake) to high and higher end — Bvlgari soap, $30 a bar; one Guerlain Shalimar soap, $31; Tom Ford soaps: $35 each, and, as with bath gels, Creed is most expensive at $45 per tablet (I’ll pass). Hey, Roja Dove and Clive Christian! Have you lost your nerve(s)? I was expecting over-priced bars of soap from each of you for at least $100 apiece and bath gels (with pulverized Swarovski crystals and gold leaf) for $400 in 8 oz. over-dreck-o-rated bottles! Though I’ve enjoyed many of the soaps listed above (Diptyque, Hermès, Atelier Cologne and Guerlain), today I’m writing about less expensive options that deliver great lather and quality aromas.